HomeBlogSpiritualityWhat Is God’s Will for Our Life? In our post about discovering the will of God, we noted three things he wants us to do: rejoice always, pray continuously, and give thanks in all situations. But that’s not all. The Bible also gives us other passages about God’s will for us. It’s God’s will for us to be pure: In Paul’s letter to the Thessalonian church, he tells them to be sanctified, that is set apart and pure. He specifically tells them to avoid sexual immorality (1 Thessalonians 4:3). It’s God’s will for us to do good: Peter also clues us in to God’s will. In his first letter, he tells his audience that it’s God’s will for them that by doing good they will silence the ignorant talk of foolish people. That is, through their actions, people will have no grounds to criticize them (1 Peter 2:15). This, too, is the will of God. It’s God’s will for us that if we suffer, it’s for doing good instead of evil: Though no one wants to suffer, it’s better to suffer for doing the right thing instead of doing the wrong thing. It’s not God’s will for us to suffer. But if we do, it should be for doing something good, not something bad (1 Peter 3:17). 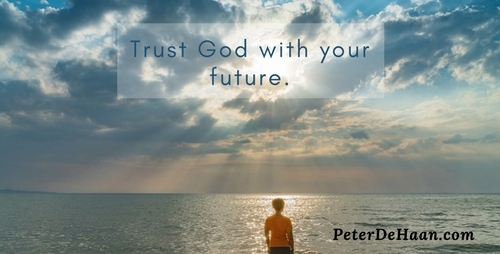 It’s God’s will for us to trust him with our future: In the book of Acts we don’t see a command about God’s will but an example that demonstrates it. When Paul visits the city of Ephesus, they ask him to stay, but he turns them down. However, he does say that he’ll come back, “if it is God’s will” (Acts 18:21, NIV). This shows us that although Paul makes plans, he holds them loosely. He trusts God will work things out for what is best. This idea of trusting God with our future is huge. Too often we struggle to ascertain God’s leading in certain key decisions, such as who to marry, career choices, where to live, business decisions, and so forth. While it’s not inappropriate to seek God’s opinion in these things, we can see from Paul’s example that it’s perfectly acceptable to give our future over to God and trust him with it. This is also his will for us, and it frees us from much indecision and paralyzing inaction.